CRG 316 Normal series since 1995. C = Month of expiry March. CRG 316 Close-up of the above. 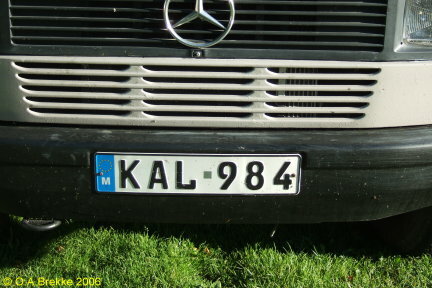 KAL 984 Normal series since 1995. K = Month of expiry November. 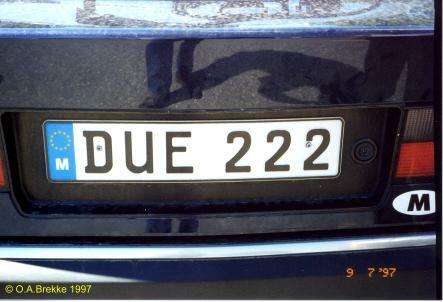 DUE 222 Normal series since 1995. Personalized. The driver confirmed it is personalized: DUE is Italian for 2. 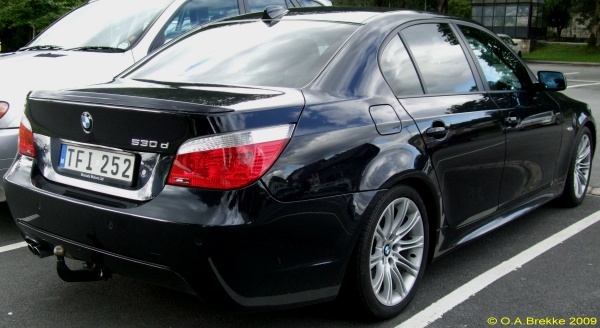 STI/100 Normal series since 1995. Personalized. 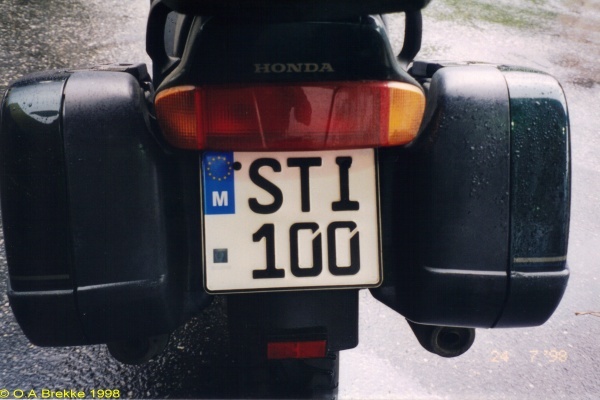 STI 100 on a Honda ST 1100. The rider told me supplies of motorcycle sized plates had run out and he was given this car-sized plate. 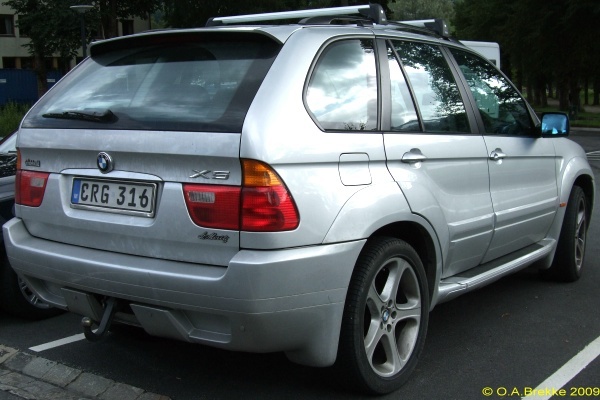 FJI/200 Normal series since 1995. Personalized. Motorcycle size. 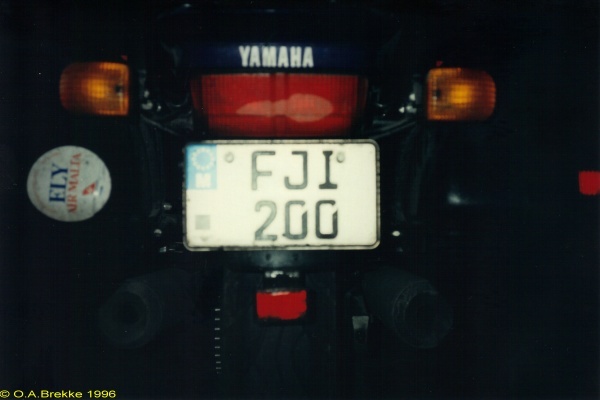 FJI 200 on a Yamaha FJ 1200. TFI 252 Tax free series since 1995. TF = Tax free. TFI 252 Close-up of the above. 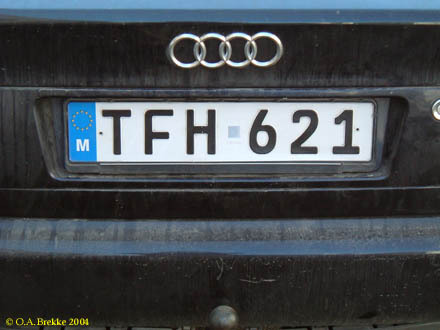 TFH 621 Tax free series since 1995. TF = Tax free. 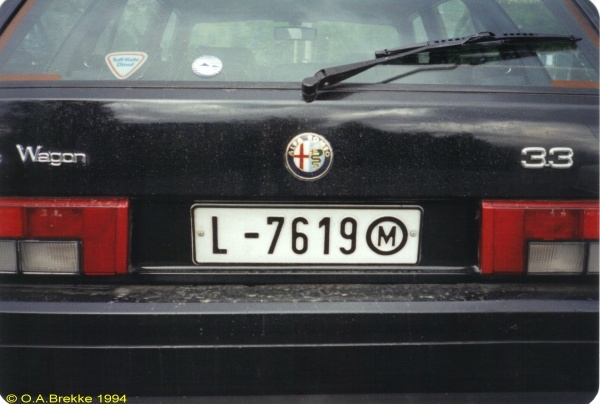 L-7619 Normal series 1979-95. A-L, N, R-T = Private. Encircled M = Malta.